Jordan Brand has been delving deep into their archives to release new retro colorways rooted in the brand’s history for quite some time now. By revisiting the likes of their Pantone and History of Flight series, everyone wins (unless you’re one of the few collectors with the original rare samples in your possession, that is). After releasing the Air Jordan 13 “History of Flight” earlier this year, the Jumpman will be bringing the Air Jordan 7 History of Flight this coming March 2018. The pair features the signature White/University Red-Black colorway from the World Basketball Festival in Chicago (you can check out all of the retro pairs featured in that collection here). 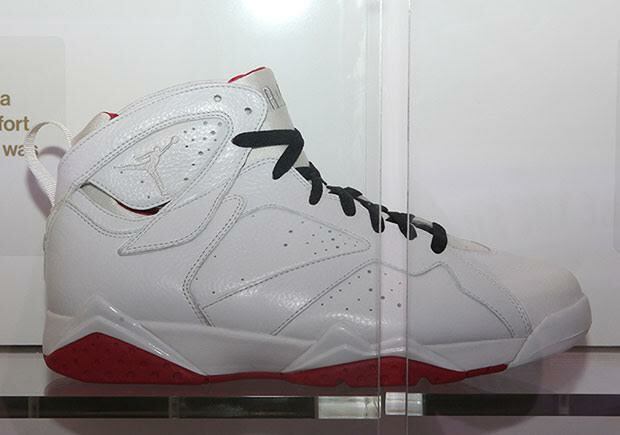 Stay tuned for more Jordan Release Date updates right here on Sneaker News.